Home › Personal Injury › Auto Accidents › What steps should you take at the scene of the accident? (1) Police: Call the police. You will need a police report to document who was at fault for the accident and to make sure you get the needed information about the negligent driver and his or her auto insurance. You should stay calm and tell the police officer exactly what happened in the accident. Be specific about what the other driver did wrong, and what you did to avoid the accident. (2) Defendant Information: Write down the negligent driver’s contact information. (3) Tag Number: Write down the tag number and the make and model of the vehicle being driven by the negligent driver. If the negligent driver suddenly leaves the scene of the accident, then having this information will help the police track down the hit and run driver for charges. (4) Witness Information: Get the contact information from all of the witnesses and ask them to stay until the police arrive. Our attorneys will obtain the recorded statements of all of the witnesses when liability is in question. (6) Medical Treatment: Get medical treatment if you are injured as quickly as possible. You should take an ambulance to the emergency room for emergency medical treatment if it is needed. You should get all of the medical treatment you need and avoid gaps in care if possible because adjusters will use these against you. (7) Liability Insurance Adjusters: It is usually not a good idea to call the negligent driver’s insurance adjuster, also known as the liability adjuster, without representation. It is also never recommended to give a recorded statement to the liability adjuster without legal representation. (8) UM Insurance Adjusters: It is a good idea to notify your own auto insurance company about the accident since many auto policies require notice to preserve your uninsured or under-insured motorist coverage. However, contact with your insurance company often results in a recorded statement which is not recommended unless you are represented by an attorney. Our personal injury attorneys will always make sure that all insurance carriers are properly notified and will verify the correct policy limits of each policy. 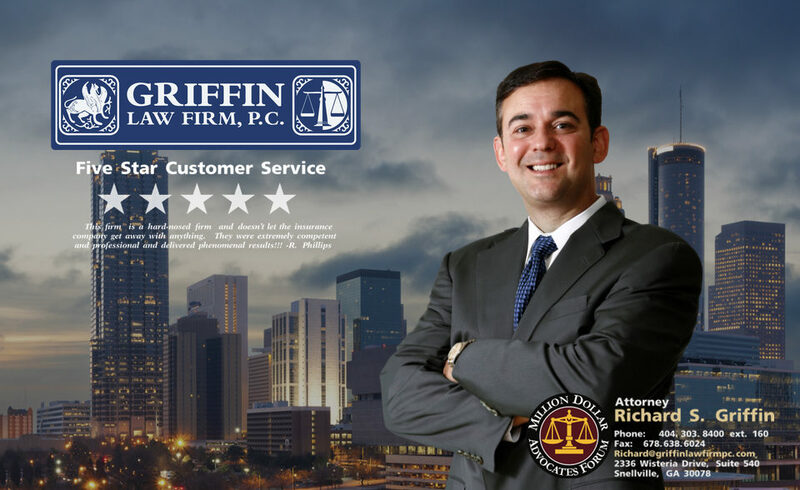 (9) Call Attorney Richard Griffin: You should call the Griffin Law Firm at 877-524-7070 or 877-PAIN-LAW immediately after the auto accident so we can let you now your personal injury rights and so we can provide a free injury evaluation. The consultation is free, but the information you will receive is invaluable.